Prince Edward Island is located on the east coast of Canada with a population of approximately 139,000 residents. Prince Edward Island, is the smallest of the Canadian provinces both in size and population . While it is densely populated, it is not overcrowded. The Province is also called 'PEI', or simply 'The Island'. The capital city is Charlottetown The Island is 224 kilometers long and is connected to the mainland by the Confederation Bridge which is the world's longest bridge (12.9 km) over ice covered waters. The climate on Prince Edward Island is milder than the Canadian mainland due to the warm waters of the Gulf of St. Lawrence surround it. This makes for damp conditions throughout the year. The Island receives an average yearly rainfall of 868 mm and an average yearly snowfall of 340 cm. The Island enjoys an average temperature of -7C (19F ) in January, and 19C (67F) in July. Arlington Orchards is a family run farm, Eco-Apples farm, with Carol and Barry Balsom celebrating their 20th year of growing apples in 2013. 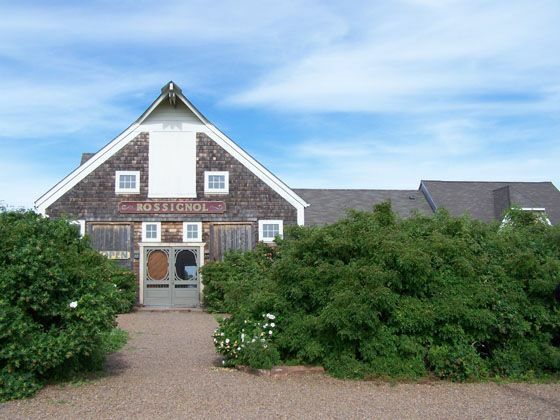 They are the PEI largest orchard with 32 acres of apples, plus pears and plums equaling 50 acres. The first of their hard cider line is "Malpeque Bay Cider", in honour of Malpeque Bay and the soft breezes and warmer conditions the Bay provides. They also make Iced Apple Cider. 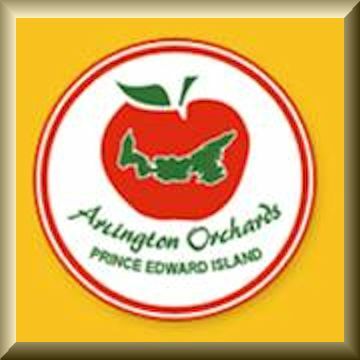 Arlington Orchards was a part of a provincial study involving federal and provincial governments, researchers, and other Island apple growers that focused on using natural pollinators and not importing any honeybees. We rely on our native Prince Edward Island bees and not honeybees to pollinate our fruit crop, and since 2000 we have identified over 120 native PEI bee species. 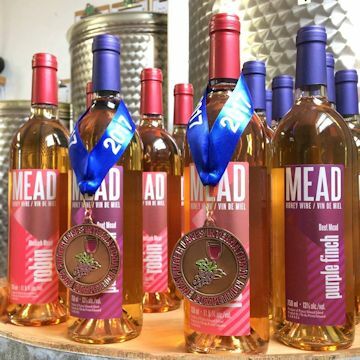 Their mead is sold under the label The Golden Drop. Philosophy: To strive for high quality, reasonably priced. Nestled outside the luxurious water views of Nicole's Cove and Fox River in the charming rural community of Gladstone lies Newman Estate Winery . Owned by Mike Newman the wineries first release was 2011 Blueberry. The vineyard was planted in 2009 with Marechal Foch,Lucie Kuhlman and in 2010 with Visal and Seyval. Jaime and Heather Matos were both born on the island of Pico in the Acores, just off of Portugal. Heather came to Ontario when she was 5 and Jaime when he was 18. While in the Acores Jaime helped his father tend to his vineyards there and make wine. 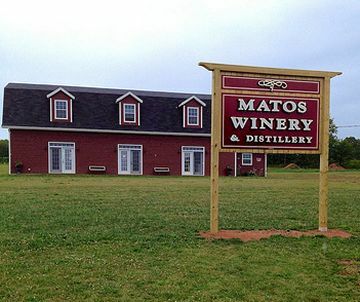 The only winery in PEI, located in Little Sands along the picturesque south shore of Prince Edward Island. 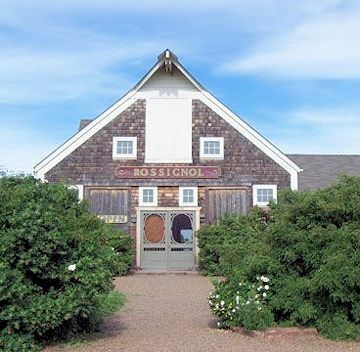 Owner John Rossignol left his home in Ontario in1990 moving to Little Sands PEI. The winery opened in 1995. 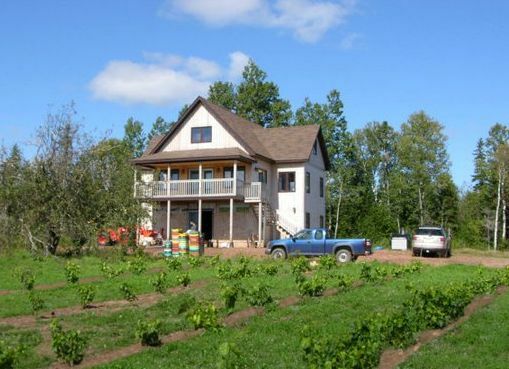 The warm waters of the Northumberland Strait allows for the vineyards to flourish. The grape varieties grown include L'Acadie Blanc, Seyval Blanc, Muscat, Marechal Foch, Valient, Lucie Kuhlman and Marquette. The winery uses labels based on original artwork created by John, his wife Dagny, and other local artists. Tours are available wine tasting is by donation given to local charity.